Cloud computing boasts several attractive benefits for businesses and end users. Command-line interface for Cloud Platform products and services gcloud is a tool that provides the primary command-line interface to Google Cloud Platform. You can use this tool to perform many common platform tasks either from the command-line or in scripts and other automations. gcloud manages authentication, local configuration, developer workflow, and interactions with the Cloud Platform APIs. Google Compute Engine offers high performance virtual machines, customer-friendly pricing, fast networking, and carbon-neutral impact. 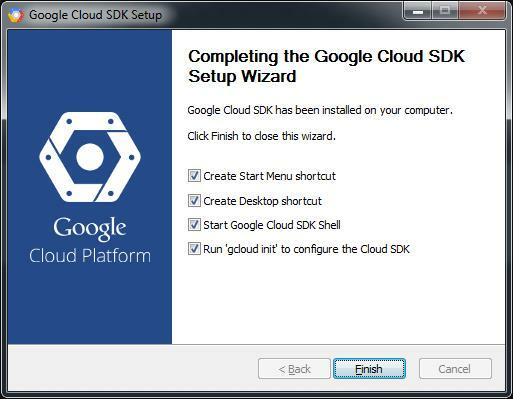 Download the Google Cloud SDK installer. The installer then starts a terminal window and runs the gcloud init command. To create a project, you must have the resourcemanager.projects.create permission. When an organization is created, the entire domain has the Project Creator role, which includes that permission. On the Select organization drop-down list at the top of the page, select the organization in which you want to create a project. Use the gcloud init command to perform several common SDK setup tasks. These include authorizing the SDK tools to access Google Cloud Platform using your user account credentials and setting up the default SDK configuration. Note: To prevent the command from launching a web browser, use gcloud init –console-only instead. To authorize without a web browser and non-interactively, create a service account with the appropriate scopes using the Google Cloud Platform Console and use gcloud auth activate-service-account with the corresponding JSON key file. If you only have one project, gcloud init selects it for you. QSpace is a high-performance position keeping system that combines start of the day positions with intraday trading activity to produce up to date positions that can be subscribed to by a multitude of clients. QGraph is a reactJS based client which subscribes to QSpace Server to display position and risk data. echo -n "Enter the number of records:"
echo "NPM installation..." curl -sL https://deb.nodesource.com/setup_8.x | sudo -E bash - sudo apt-get install -y nodejs npm i echo "NPM installation...done"
QSpace uses ports 9006, 9007, 9008, 9009, 9027 and 8085 to communicate with the external world. Enter a Name for the firewall rule. 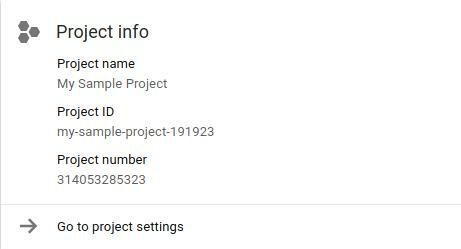 This name must be unique for the project. Specify the Priority of the rule. For the Direction of traffic, choose ingress. Specify the Targets of the rule. If you want the rule to apply to all instances in the network, choose All instances in the network. If you want the rule to apply to select instances by network (target) tags, choose Specified target tags, then type the tags to which the rule should apply into the Target tags field. Choose IP ranges and type the CIDR blocks into the Source IP ranges field to define the source for incoming traffic by IP address ranges. Use 0.0.0.0/0 for a source from any network. Specify a Second source filter if desired. Secondary source filters cannot use the same filter criteria as the primary one. Choose Allow all or Deny all, depending on the action, to have the rule apply to all protocols and ports. Choose Specified protocols and ports then type a list of protocols and port numbers. Change the active property to true for the server(Public IP of the instance) that you may want to connect. Ensure that for all other servers the active property is set to false.